Plastic floating on the ocean is probably a constant source of chemical pollutants according to new research done at the Department of Environmental Science and Analytical Chemistry (ACES). By building a novel “weathering wheel” ACES researchers were able to rapidly age plastic and identify chemicals that will enter ocean water. 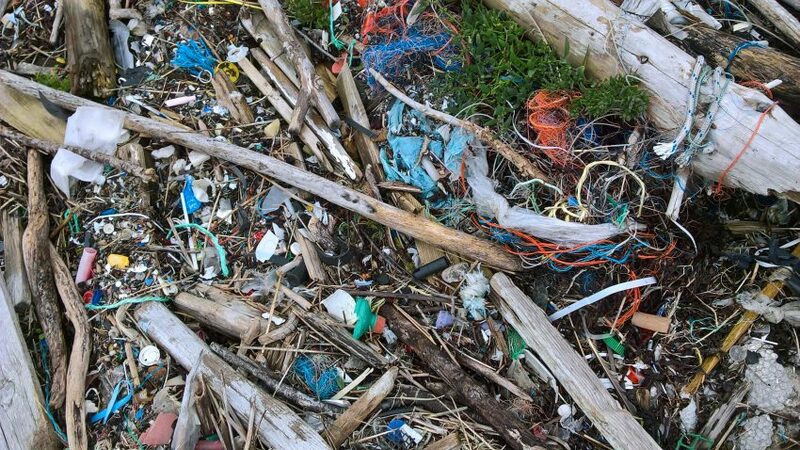 The study opens the door to better characterize the risks and hazards of plastic in the oceans. More than 260 million tonnes of plastic – 40 kilograms for each person on earth – is produced each year, and over one-third of that plastic is used in disposable products such as packaging, eating utensils and trash bags, that are designed to be discarded. That means a lot of plastic litter! Plastic litter in the environment has accumulated in the global ocean, and it is resistant to degradation. But, a new study published today in Environmental Science & Technology Letters by researchers at the Department of Environmental Science and Analytical Chemistry (ACES) at Stockholm University shows that plastic litter floating in the ocean is not totally inert. Instead, plastic floating in the ocean is probably a constant source of chemical pollutants that are slowly cleaved from the polymer backbone. To date, attention to the possible environmental hazards from chemicals associated with plastic in the marine environment has mainly been drawn to persistent organic pollutants sorbed to the plastic and additives used in plastic to enhance certain characteristics of plastic products. Chemicals derived from the plastic polymer itself during weathering have, however, received much less attention for identiﬁcation and in hazard and risk assessments. 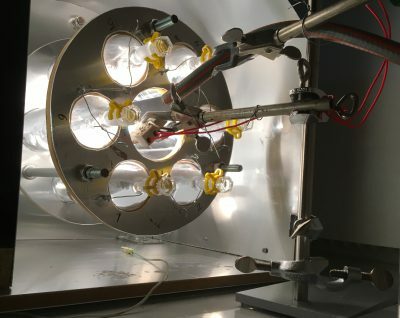 To address this knowledge gap, the ACES researchers built a “weathering wheel” which rotates plastics suspended in water around a high-intensity ultraviolet lamp. The lamp simulates the effects of more than a year of exposure to the sun in just five days. After the simulated solar exposure, the researchers analyzed the water for unknown chemical pollutants using an ultra-high resolution ORBITRAP mass spectrometer linked to a liquid chromatography system. The 22 chemicals identified in the study are carboxylic acids, some of which are structurally related to acetic acid that is found in vinegar. In addition to these 22 chemicals, the researchers also detected over 500 different mass signatures of chemicals that they could not positively identify. The article “Identiﬁcation of Chain Scission Products Released to Water by Plastic Exposed to Ultraviolet Light” is published in the scientific journal Environmental Science & Technology Letters.